يشكل فندق Oaks Lure Hotel بموقعه الممتاز في منطقة برامج عائلية, شواطئ, سياحة ضمن مدينة بورت ستيفنس، مكاناً ملائماً لقضاء العطلة بعيداً عن عجقة أيام العمل. يقع مركز المدينة المثير على بعد 5 km فقط. يوفر الفندق بفضل موقعة الجيد وصولاً سهلاً إلى أهم معالم المدينة.
. كما يقدم Oaks Lure Hotel الكثير من الخدمات لإغناء رحلتك في بورت ستيفنس. إن خدمة سيارات الأجرة, مجهز لذوي الإحتياجات الخاصة, تخزين الأمتعة, صف السيارات, غرفة عائلية هي جزء فقط من الخدمات التي تميز Oaks Lure Hotel عن باقي الفنادق في المدينة. في Oaks Lure Hotel غرف نوم يزيد عددها عن 100 صممت بذوق وعناية لتوفر لك كل وسائل الراحة . بعضها يحتوي أضاً على غرفة معيشة منفصلة, غرف لغير المدخنين, مكيف هواء, ميني بار, شرفة/ تراس. يمكنك الاستمتاع بالأجواء المريحة التي تقدمها حمام سباحة خارجي, مسبح (للأطفال), حديقة طوال النهار. إن Oaks Lure Hotel هو خيار ذكي بالنسبة للمسافرين إلى بورت ستيفنس، بما يوفره من إقامة هادئة ومرحة. يمكن الوصول إلى جميع الغرف باستخدام الدرج الداخلي عند الدخول. يُرجى الاتصال بالعقار للحصول على مزيد من المعلومات. Staff was very courteous and friendly. Building is modern and clean with free basement parking. 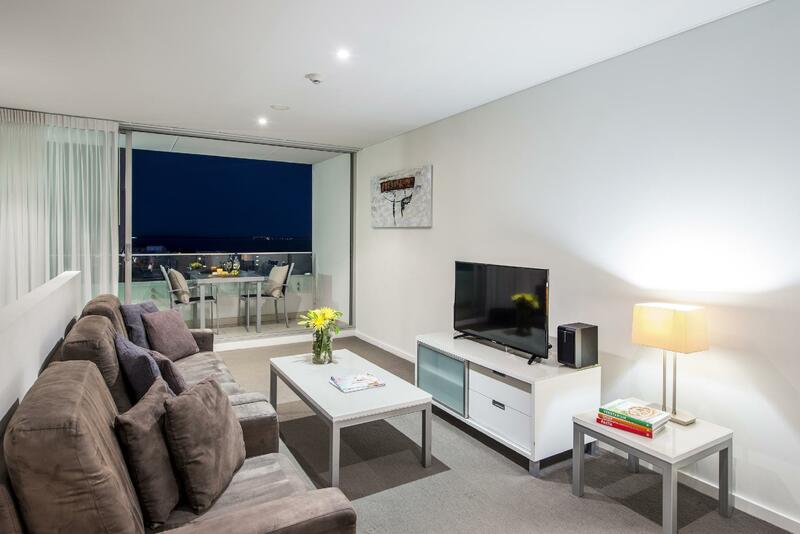 We didnt expect how good the 2 bedroom apartment is. It is massive, one bedroom downstairs and one above with own ensuites. 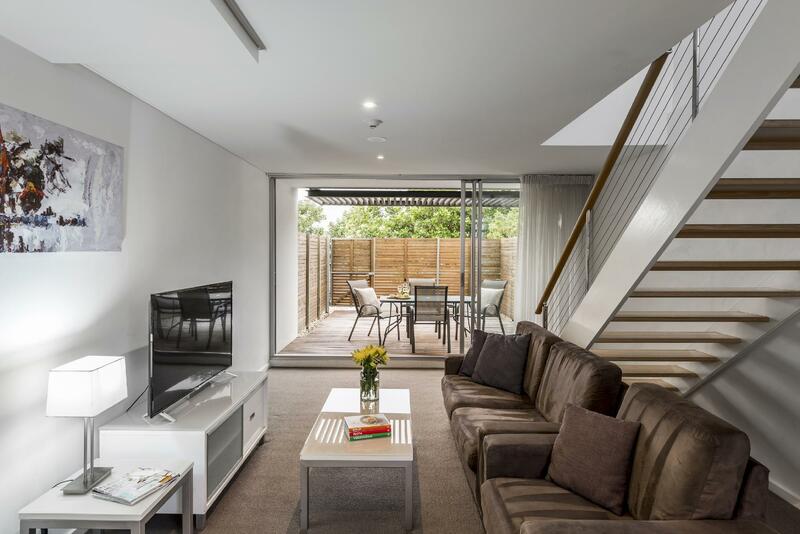 Street access from the patio area very close walking distance to woolies and central area. Would recommend to everyone else. Near-new/recently renovated apartment. Comfortable room but there is no table in the room. Hotel check in was alright. The room was ready for us when we arrived. There is a basement carpark and there are plenty of parking spots. It took us about less than 10 minutes walk to D'Albora Marina Nelson Bay, the main shopping and dining areas. There is no restaurant in the apartment. However, there are a few Thai restaurants just situated across the road. The hotel check-out was good too. We had 2 bedrooms and it was very nice, lot of space for family. We stayed 4 day and they didn't provide enough toilet paper, I think we have a get our own. In my mind it is a hotel I should get enough. I unintentionally arrived late after check in hours and the after hours manager was so lovely. Some of the furniture in the room was a little dated but bed and bathroom new and room was spotless. Only stayed one night but was very pleased. Location is great, very near city center and marina. Hotel is quite clean and very spacious. It was quite pleasant. We arrived late and got the key in a lock box. THe room is unexpectedly spacious. The room and bathrooms are all very clean. 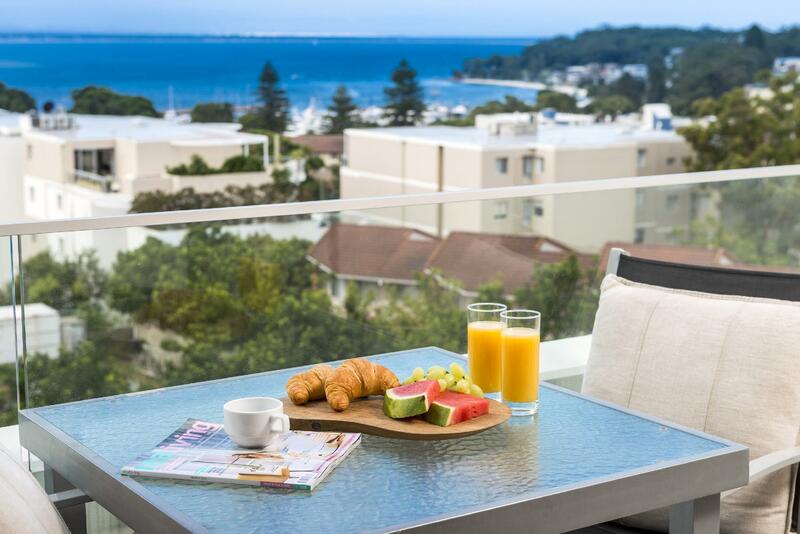 The location is great in the center of port stephens nelson bay. 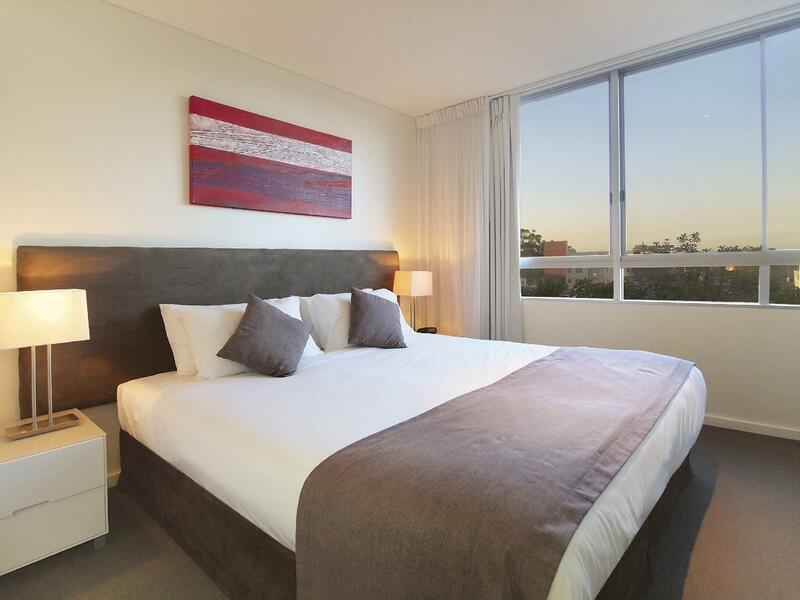 Two couples stayed at a two level two bedroom serviced apartment during the Easter break for $350 per night. The living area was very large and full kitchen facilities available. Underground secure parking and easy walk to shops and marina area. We arrived late and reception was closed, they left our door card in the locker, was very convenient. There is underground car park. 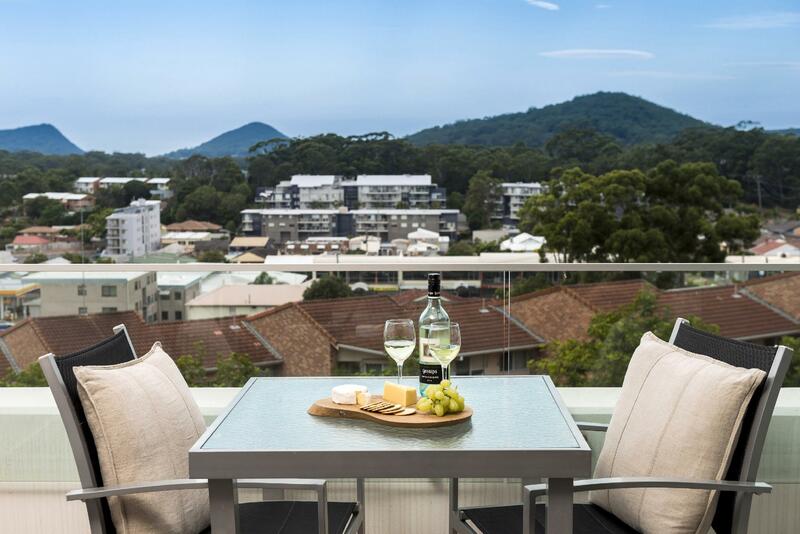 Room is large and clean, 5 mins walk to nelson bay beach , quite area too. We were only one night there, and tight in timing. They gave us an bigger apartment as we booked, we appreciate that very much and had a lot of space there. The rooms and bathroom were very clean!! Only two points are not so good: The pool is not really nice and they don't offer a breakfast. But for us not a big beal, because we had anyway not the time for swimming and breakfast is easy to get on the way. In the smal valley are a number of really nice shops and the people there are very very friendly too. Room is very clean, size is big enough.It can also provide free parking. However, the hotel have no servise even the counter is not so helpful. The swimming pool is small and dont trust the photos that they post. The distance between the hotel and the town centre need around 10 minutes, a bit far. we arrived late and gaining access to our room was easy. the apartment was comfortable with a nice balcony, clean with everything you would need. the staff were friendly and helpful and i thoroughly enjoyed the lap pool. it was just the right temperature for swimming laps. we will return. value for money, can't recommend this place anymore. apartment was very clean, great location, with full kitchen. small thing about the beautiful bathroom, the shower drain does not catch all the water (design flaw) and hence the bathmat was drenched everyday, requiring my wife to dry it in the sun everyday. this wouldn't have been as much of an issue if the towels were changed more often than once a week, say at least every 2nd day. regardless, we had a great time. we reached there quite late at night, the check in was smooth as the keys are already prepared at the safetybox provided. the apartments are quite clean and cozy, althought it would be nice to have 2 bathrooms for the 2 bedrooms units and the apartment being serviced everyday. overall it was a good stay. Perfect location and view, facility and everything! I booked two rooms, one is hotel room booked in agoda, and another two bedroom apartment from other website (the price is the same in agoda, only because there was some problem with agoda that it showed unavailable so I have to book from other website, but after 1 hour, the status in agoda changed back to available...) The price for the apartment is great, after you checked in, you will find everything is beyond expectation! It is a perfect home for travelers. The only suggestion from me is that there is no washing machine in the apartment. I was pleasantly surprised by how spacious the apartment was. It is quite stylishly furnished, and very clean. We had a very comfortable stay here. Staff were very helpful in calling up the tours office for us to inquire on the dolphin tours and sand dune tours etc. It was a very pleasant stay. Thank you! The hotel was walking distance to the shops. It was also very clean and the staff were very friendly and helpful. 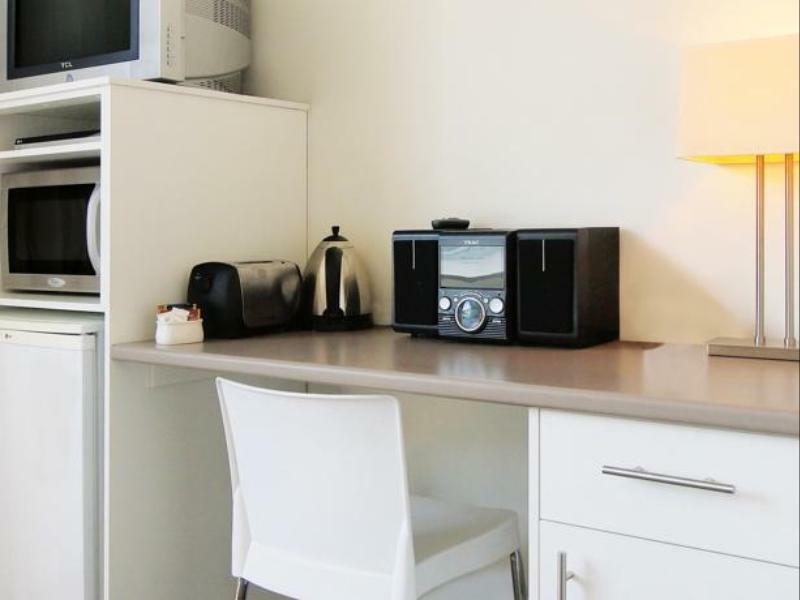 The basic room came with toaster, kettle and microwave for convenience. The rooms were a bit small (non-apartment). Parking space is limited - I had to park outside. Nice little hotel that is conveniently located and well priced. 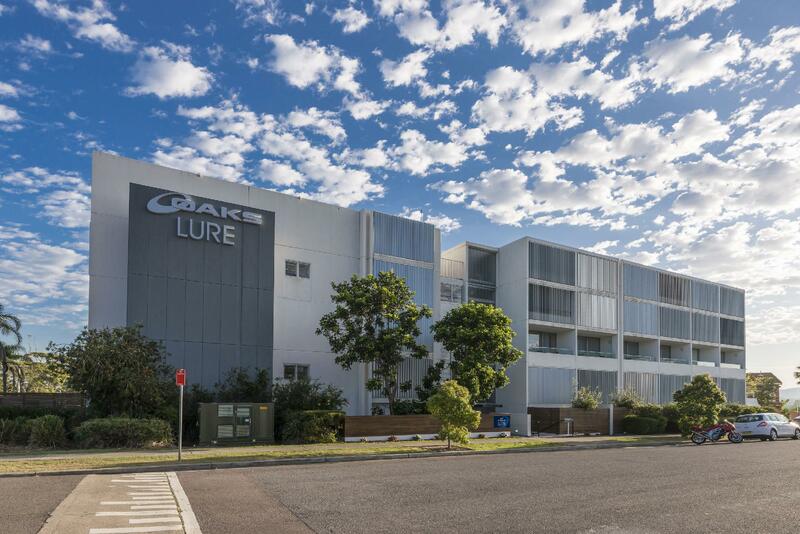 It's close to Coles and the Nelson Bay shops. Maybe a little to far to walk to the marina though. Room felt a little small, but ironically the bathroom is a fairly roomy. Staff were friendly and helpful in tracking down a lost item after I checked out. The room was extremely tired. Furniture was all marked, chipped etc as were all walls. Windows and external walls were dirty. We looked out of downstairs bedroom into a wall and stairwell. Everyone could see into room. Balcony view was on to an external wall. Whole place very tired.